Valve offers their entire library of games as apology. Valve's new hardware for Steam users, including the Steam Link and Steam Controller, have had a little technical hiccup for its early adopters. Mac users are currently having problems with both of the devices, with gamepad emulation not functioning on the controller and the Steam Link not playing with the platform at all. In an e-mail to customers (published by Eurogamer) Valve has acknowledged the issues and stated that they're working on a solution. By way of an apology, the publisher has provided the Valve Complete Pack (a collection of all Valve games past and future) to affected consumers. 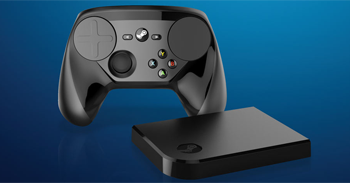 The Steam Link device enables players to stream games from the Steam library on their computer to any screen by way of the user's home network. The Steam Controller is Valve's answer to the gamepad, featuring a pair of touchpads for emulating mouse and keyboard controls to broaden the range of games playable with a controller. Both devices will be available at retail on November 10 for $49.99 each.